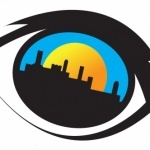 Apologies :- Samah K., Tia J., Jess C., Nathan W.
HOUSING CONSULTATIONConsultation is when members of an organisation gather information/feedback from members of the public or group on a project or scheme. Tim English from Housing in Oldham Council came into the meeting to talk about the Housing Strategy. Tim has consulted to a wide variety of members of the public with questions that would affect and shape the strategy. The first question that Tim asked was, What’s the first thing that springs to mind when thinking about housing in Oldham? Reminder of Flat Pack. The new houses are suddenly appearing and they aren’t seen as sustainable for a long living time. They also don’t have character and have many mistakes. Huge gap in the private housing market. Information on how to get social housing should be fed out. Saddleworth – really nice houses. Bought into houses – comfortable homes. There should be an advisory system. Old people might refuse to move house. With Amber recently becoming Youth Mayor, she wanted to consult with the Youth Council what charity she should support in her Youth Mayor term. Charities that were already suggested were Healthy Young Minds, The Boom Project and TOG Mind. After discussion, it was voted that TOG mind would be the charity that Amber supports. This is a few questions that check understanding, knowledge, desires for change or wanting knowledge in the youth council. 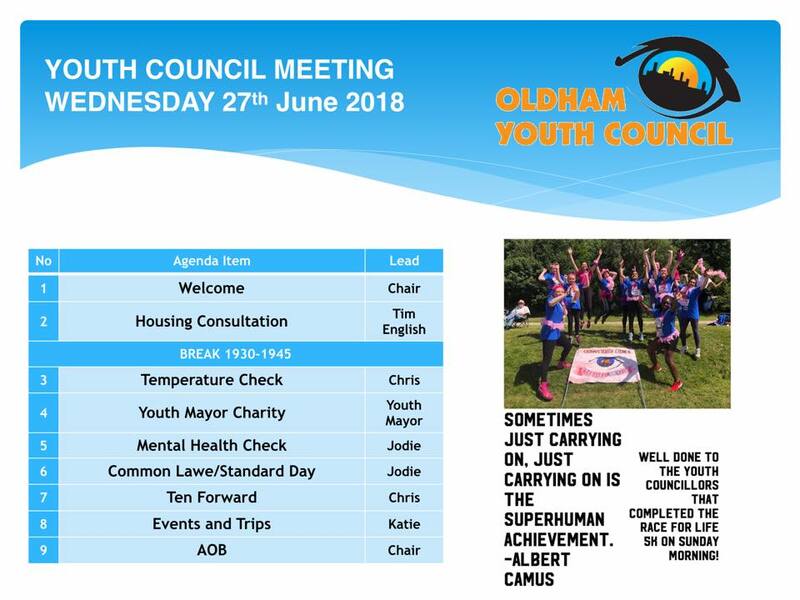 Jodie wanted to make all members of OYC Oldham Youth Council assured that they have a member of staff if they needed to, that there is someone to speak to if they are having a bad day, or a bad month or life. Common Lore is a theatre piece that involves mental health. Due to it linking in with one of our priorities, it has been voted to commision the piece to train professionals. Ten Forward is an scheme to get as many input for a Work Experience questionnaire that will help the OYC Oldham Youth Council work experience campaign. Events and trips were given out to youth councillors.